Lean Six Sigma body was designed for manufacturing, although these manufacturing jobs are now rare. That’s why we need a simplified and streamlined approach to Lean Six Sigma that fits services. 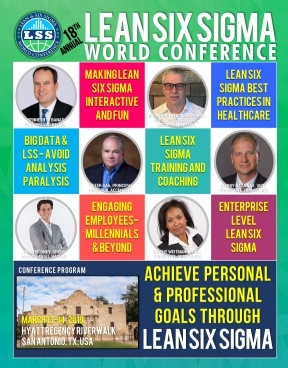 I believe that “Agile Lean Six Sigma” is the answer to evolving Lean Six Sigma into a set of tools and principles that will better serve our fast-moving and diverse service-oriented economy. Back in 2000, a rogue group of programmers got together and applied the principles of Lean to software development. They came up with a fresh approach to software that they named Agile. Agile has begun to spread into all business operations from HR to operations. Maybe Lean Six Sigma should too. The programmers came up with a new set of values and objectives. By adapting their values and objectives, we can come up with new Lean Six Sigma values. Is it possible to accelerate the adoption and use of Lean Six Sigma by hacking how it’s implemented? By hacking, I mean the good kind of hacking (white hat not black hat)—simplifying, streamlining and optimizing the methods and tools to maximize results with minimal investment.